On July 19 from 10:30 to Noon I’ll be at the Barbara Bush Branch Library in Cypress, TX signing books. I’m going to be there to take part in a panel. Lilia Fabry, E. L. Russell, and K. J. Russell will be on the panel with me. 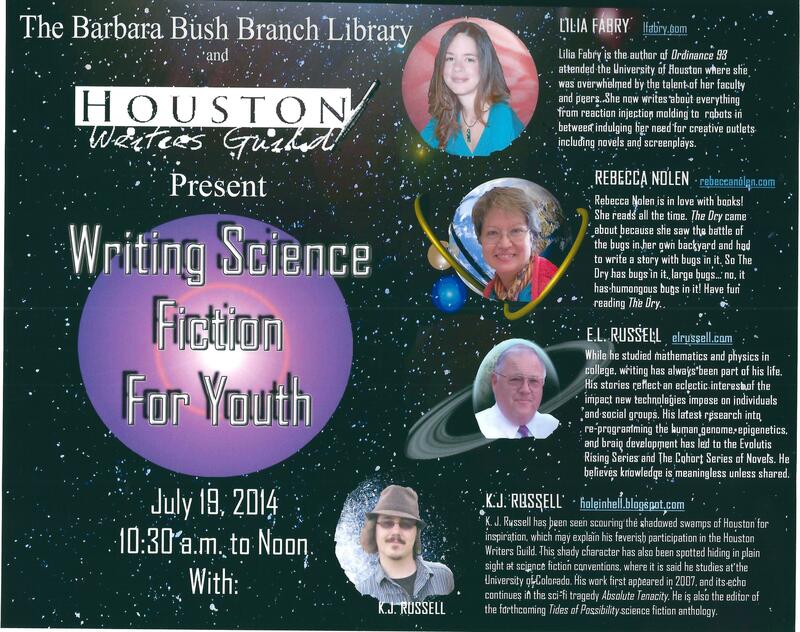 The title of the presentation is “Writing Science Fiction for Youth. 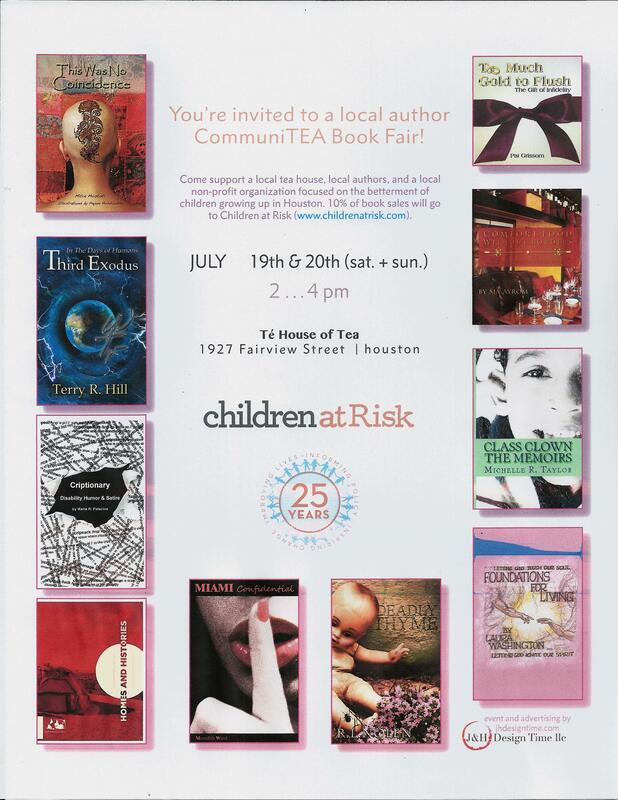 Then that afternoon from 2 until 4 I will be with a group of authors signing books at Te – The House of Tea, 1927 Fairview just west of Dunlavy. I understand they have a great Korean dumpling and many other interesting items on their menu. I’ll be there Sunday afternoon, July 20 also from 2 to 4. On July 26 I’ll be signing books at the Barnes & Noble on West Gray from 2 to 4 but I may be there longer if they can stand it. This is not just me, there will be a lot of other authors there also. It’s a bigger deal when there are a lot of other authors. Plus, it’s a lot more fun for everyone. I sure hope I see you there. I’m attaching flyers for the first two events to give you a better idea of what these events are.